Das Bali Besikalung Wildlife Sanctuary – established by Friends of the National Parks Foundation (FNPF) in 2011 – is a haven for endangered birds and animals within an intact forest landscape on the slopes of Mt Batukaru, in central Bali. 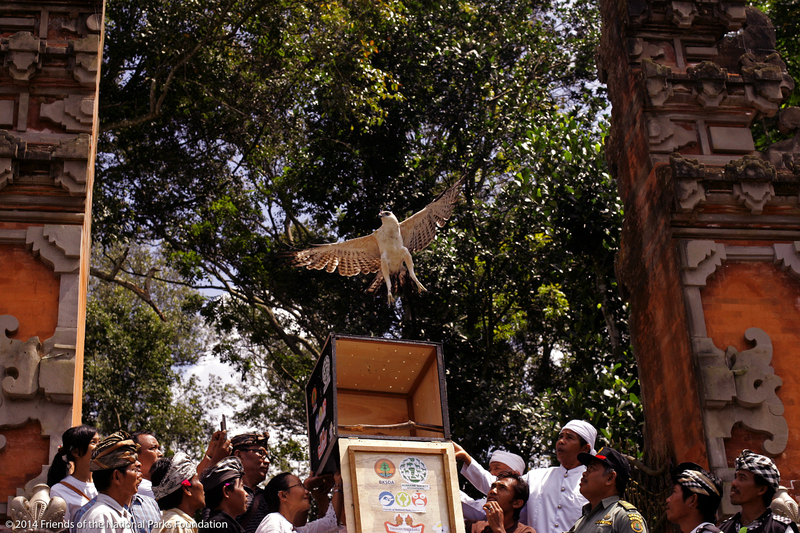 At a traditional temple ceremony, this Veränderbare Hawk-Adler (Nisaetus cirrhatus) was recently released back to the wild forest sanctuary following a period of rehabilitation after confiscation from poachers by the forestry department’s Nature Conservancy Agency. Überall in Indonesien Vögel und Tiere sind bedroht durch Wilderer und illegale Tierhändler - das Land verfügt über die weltweit zweithöchste Zahl der bedrohten Vogelarten. 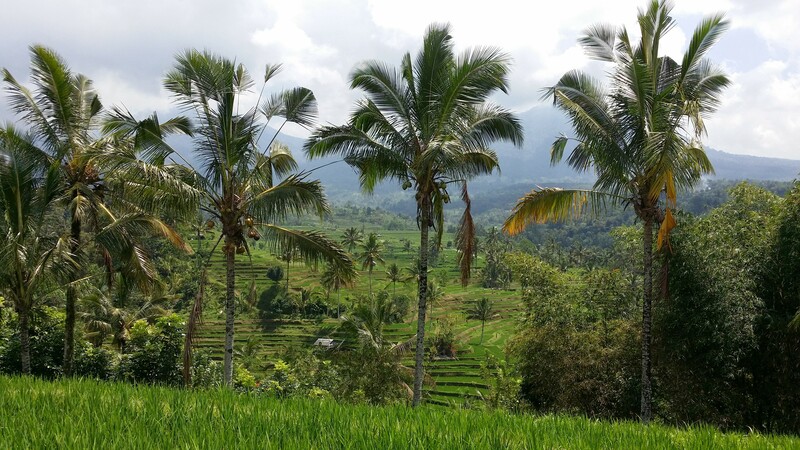 Bordering UNESCO World Heritage-listed protected rice terraces – Bali Besikalung Wildlife Sanctuary is part of Bali’s largest remaining forest, spanning an area covering 5km in radius from famous Besikalung Temple and is home to Leaf monkeys, macaques and many bird species. FNPF has released dozens of birds into the Bali Besikalung Wildlife Sanctuary, including White vented mynahs, Peaceful doves and more recently Changeable Hawk-eagles. 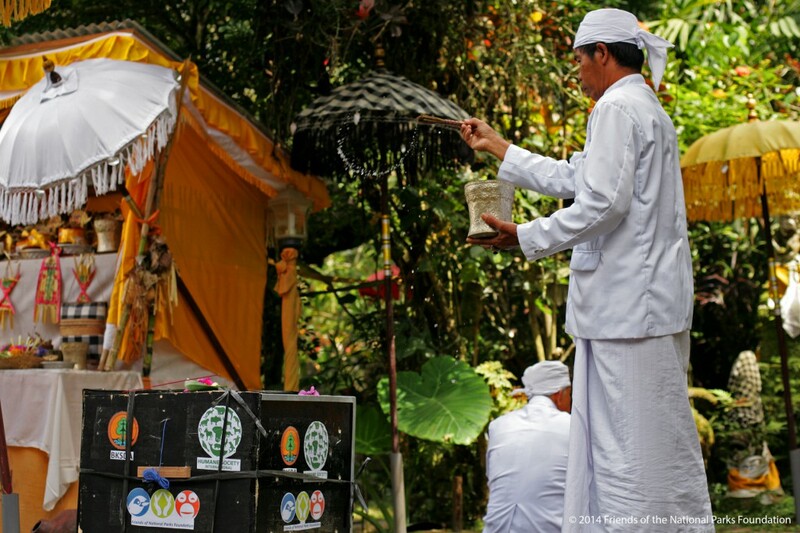 In Balinese tradition, a temple priest attends all ceremonial events to offer blessings and protection. 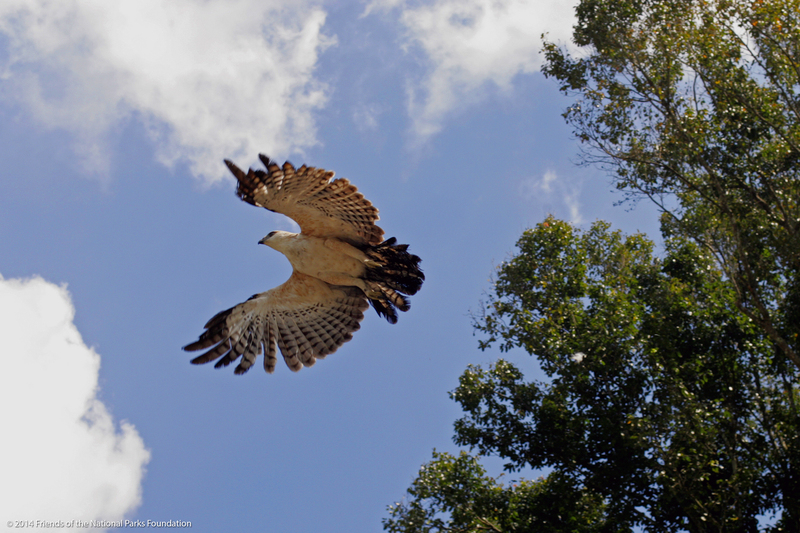 At Besikalung Temple, the FNPF bird releasing ceremony – Matur piuning – von this Changeable Hawk-eagle and other birds released back to the wild here at the sanctuary, are considered sacred and belong to the forest under the care of Naga – the Holy dragon spirit – and traditional community security. 4. We have lift off! As a small Indonesian grassroots NGO, we would not have been able to achieve what we have done to date without local support and international assistance. We would like to sincerely thank Human Society International (Australien), Nature Conservancy Agency (BKSDA), and Nagaloka Foundation – who work with local communities in skills development and preservation of culture and environment. The Besikalung community has introduced traditional laws supporting the wildlife sanctuary – the first in Bali initiated by private enterprise. FNPF looks forward to strengthening the partnerships we have already formed and in developing new alliances to further our work to ensure the survival of threatened and endangered species in Indonesia.